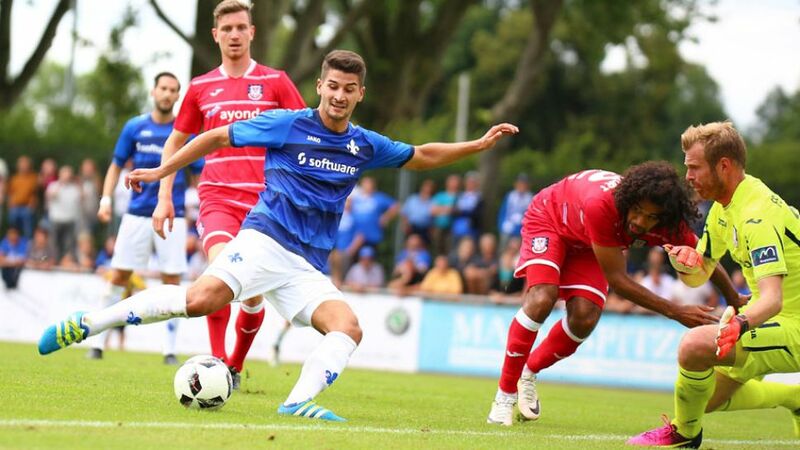 Can Darmstadt pull off another miracle and survive? The Lilies were a breath of fresh air last season – their first campaign in the top flight in over 30 years – with Dirk Schuster's side sealing survival courtesy of a 2-1 win at Hertha Berlin on the penultimate day. Inspirational head coach Schuster is now at FC Augsburg, and has been replaced in the Darmstadt hotseat by veteran tactician Norbert Meier. Striker Sandro Wagner has left for TSG 1899 Hoffenheim, while goalkeeper Christian Mathenia is now at Hamburger SV. If Darmstadt are to stay up second time around, it would be an even bigger achievement that the first. Darmstadt begin the season away at 1. FC Köln, before welcoming Eintracht Frankfurt for a local derby on Matchday 2. The following weekend brings a tough trip to Borussia Dortmund, before the Lilies travel to Augsburg on Matchday 5 for a reunion with former coach Schuster. One of the league's most characterful arenas, the Merck-Stadion am Böllenfalltor has a capacity of 16,500.